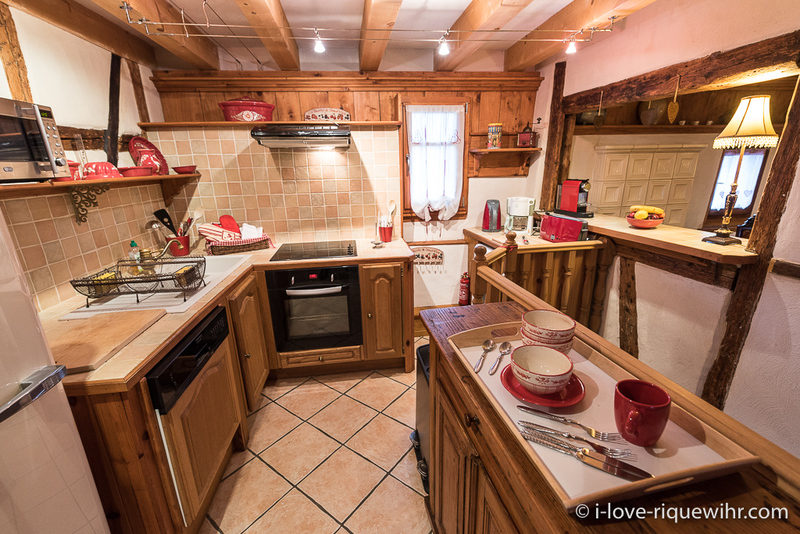 Looking for a holiday cottage in Alsace? 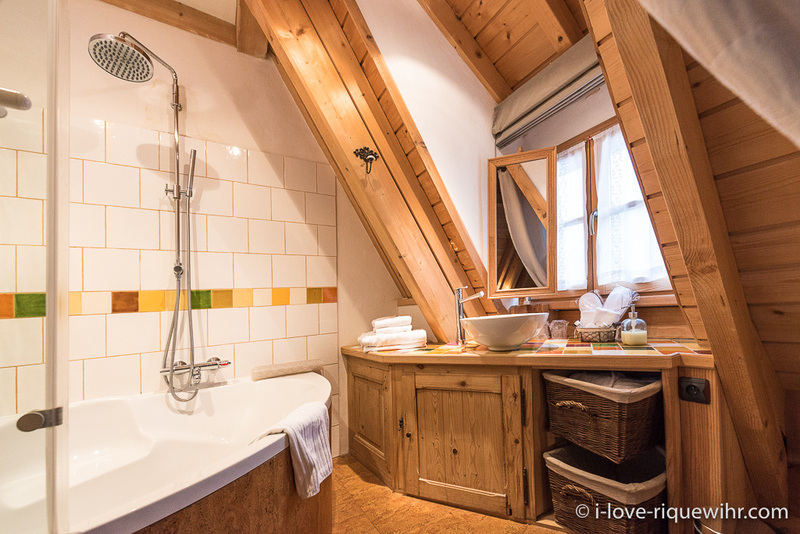 With its 2 bedrooms with each a bathroom en suite our Dove's Nest holiday home is without any doubt one of the most beautiful, charming and comfortable places available for holiday rental in Alsace! It just earned its official 5-star classification by the French Tourism Ministry on Dec 22, 2014. 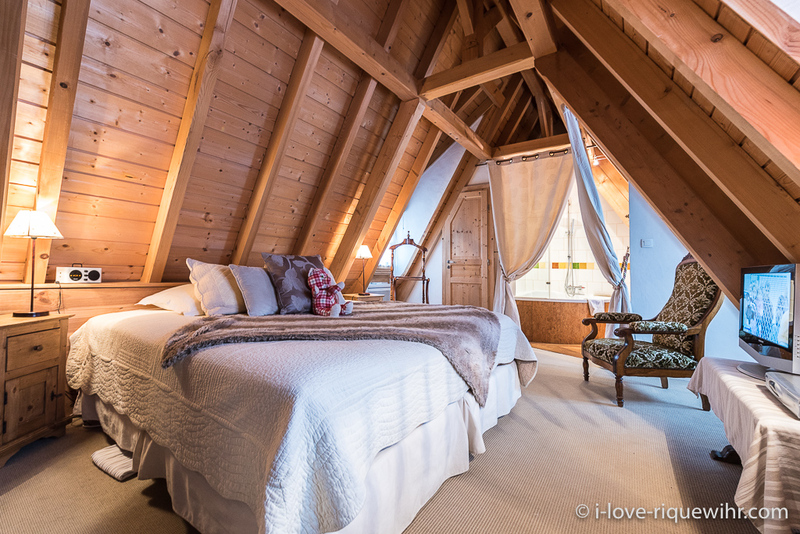 The Dove's Nest holiday home is a romantic house offering ideal and luxury self catering accommodation for 4 persons (2 couples in 2 double rooms). 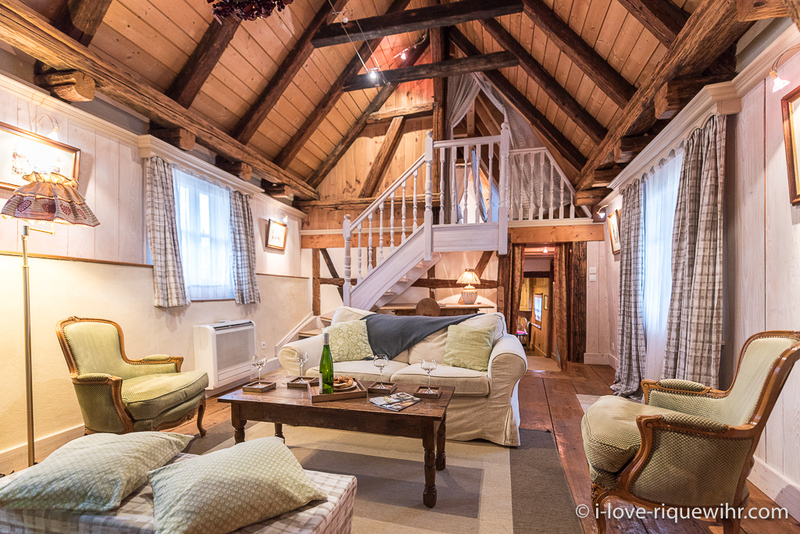 A large romantic and elegant living space spreads over the first floor: lounge, kitchen and Alsatian 'stub' (dining room). 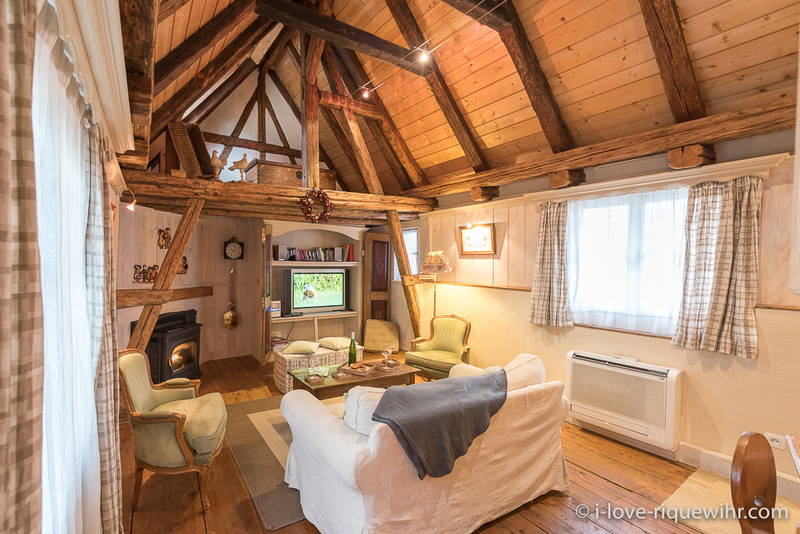 Our romantic medieval house is listed as a national heritage building (Monument Historique). 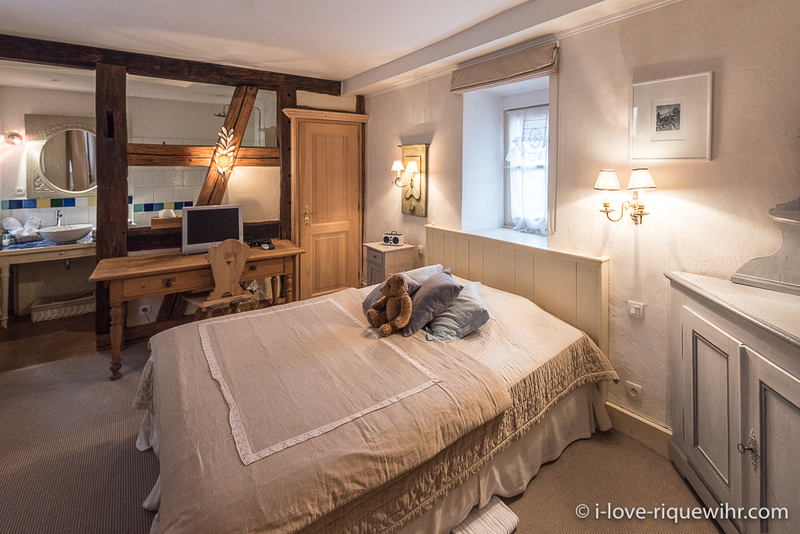 It is embedded in the medieval rampart (built 1500) of Riquewihr, only some yards away of the famous fortified gates of the Obertor and the Dolder. On the mountainside, the medieval city wall is the western wall of the house. On the street side, it is an Alsatian traditional timber framed house. 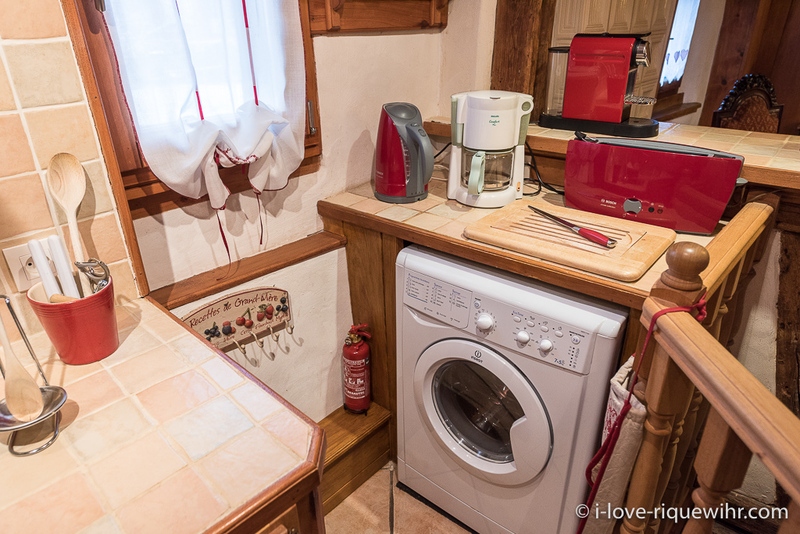 Decorated with great care and especially equipped for 2 couples which seek holidays or a long weekend on the wine trail of Alsace, at the foot of the Vosges and a few minutes of Colmar only. 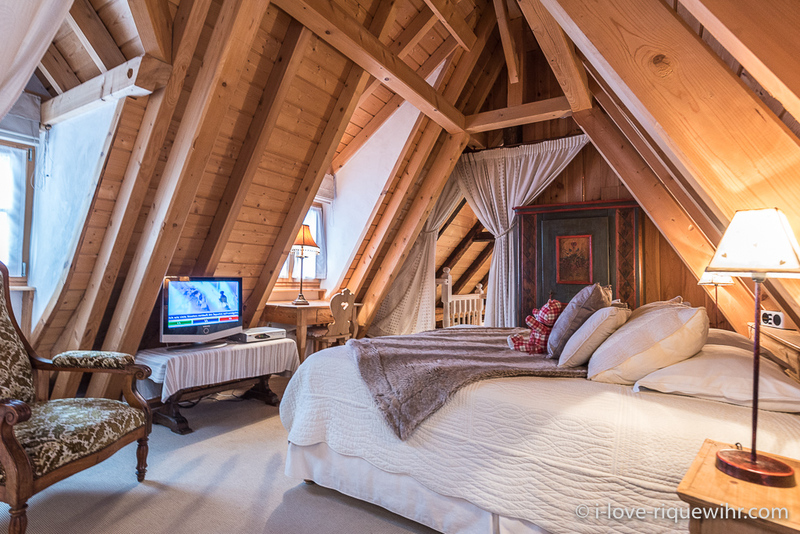 It is a romantic house with 2 double rooms (double bed and privative bathroom for each one of them). 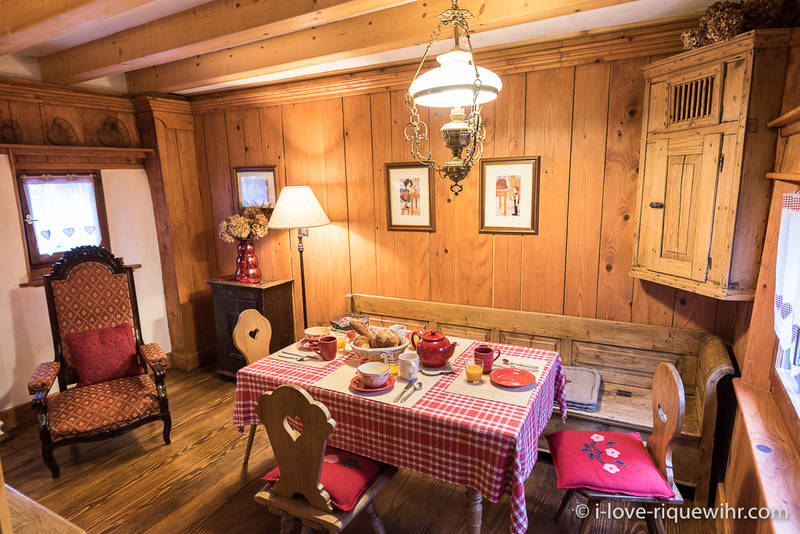 The fully equipped kitchen is open towards the “stub” (Alsatian traditional dining room) and makes it possible to be perfectly autonomous. But do not forget that the many ones and excellent restaurants of the village (some of them being listed in the Michelin Red Guide) - with excellent quality-prices ratio - are within walking distance.